Warren Long returns a kick. The former running back has moved to linebacker this offseason. In his free time, Warren Long produces music. In his playing time, the rising fifth-year senior — formerly a running back — plays linebacker. Somehow, he’s managed to take the skills he’s learned from producing and apply them to football. Long certainly received plenty of time in spring practice to find his rhythm. With Anthony Walker declaring a year early for the NFL draft and returning starter Nate Hall out temporarily with a minor arm injury, Long proved a much-needed addition for a Northwestern linebacking group struggling with numbers. 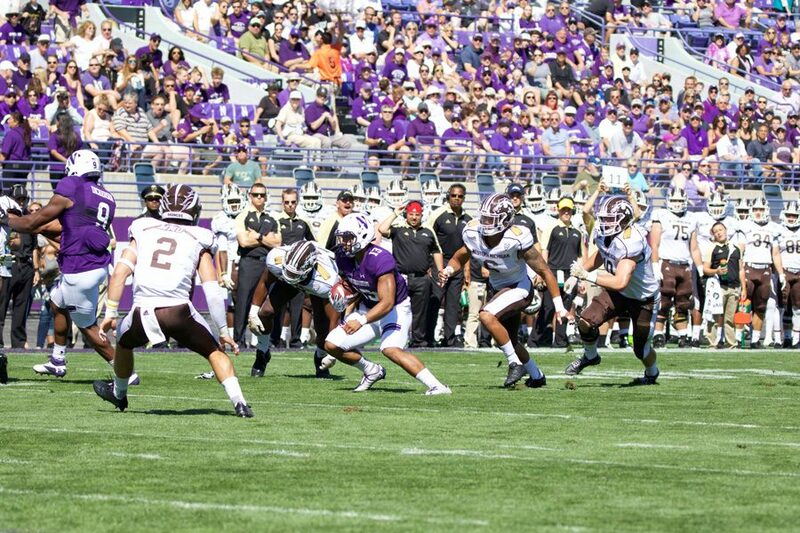 In front of a small crowd at Ryan Field for the final spring practice earlier this month, Long played alongside rising senior Brett Walsh — the only linebacker other than Hall already penned into a starting spot — rising sophomore Nathan Fox and redshirt freshmen Paddy Fisher and Jango Glackin. Those were the only five healthy linebackers the Wildcats had. Three incoming freshman linebackers who aren’t on campus yet will be available in the fall, and Fitzgerald said he’s expecting to add a few walk-ons, too. Long nonetheless figures to have a reasonable shot at seeing the field a significant amount come the Sept. 2 season opener against Nevada — a reality that speaks to both NU’s inconvenient depth chart situation at the position and Long’s hard work. While learning the ins and outs of linebacking, Long has also shared wisdom about the perspective of the running backs that his new position group teammates are trying to tackle. The knowledge Long has brought to the group from his unusual background has made him an important resource in the film room, Hall said. Perhaps because of the limited reins under which he is operating, Long, whose idea of the position change was initially shot down by Fitzgerald last fall before being made official in February, said he is unsatisfied with his performance as a linebacker to date. But Fitzgerald, for one, has a different opinion.